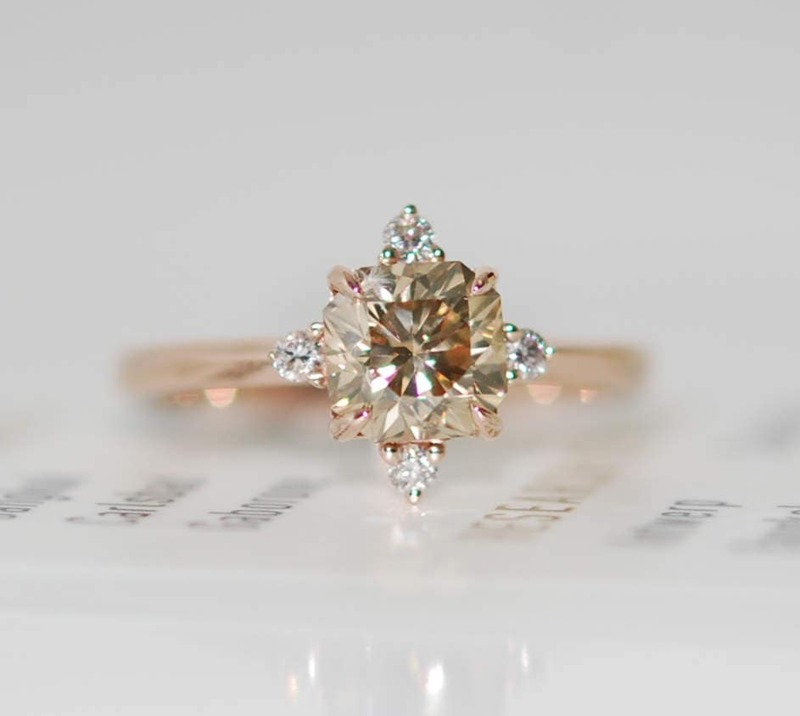 This engagement ring features beautiful and clean natural diamond in beautiful brown color, light/medium saturation, 1.2ct VVS2 clarity enhanced. 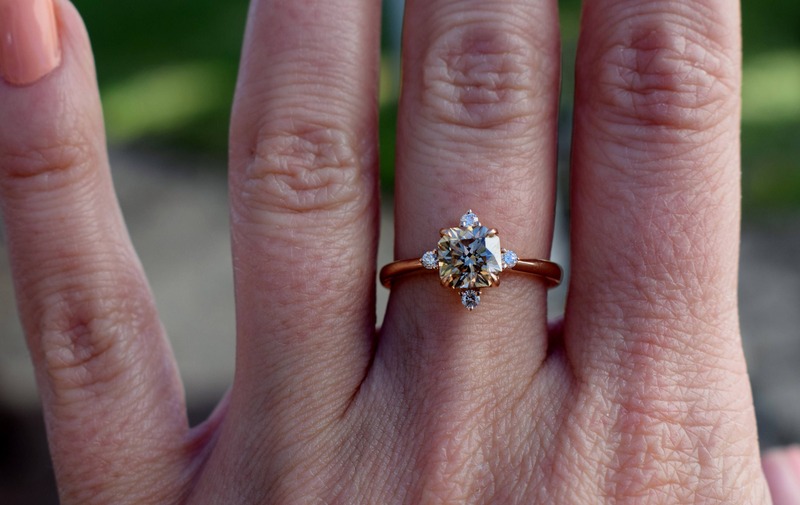 Amazing diamond, tones of sparkle! 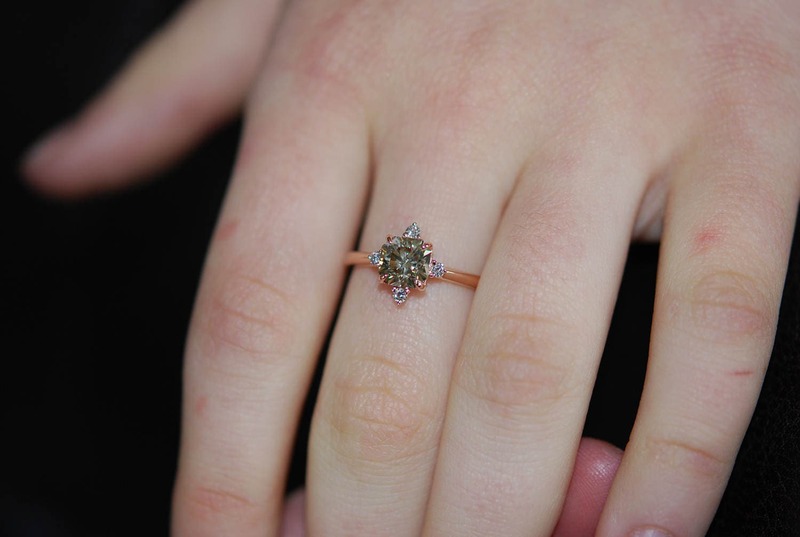 The diamond is certified by IGL. 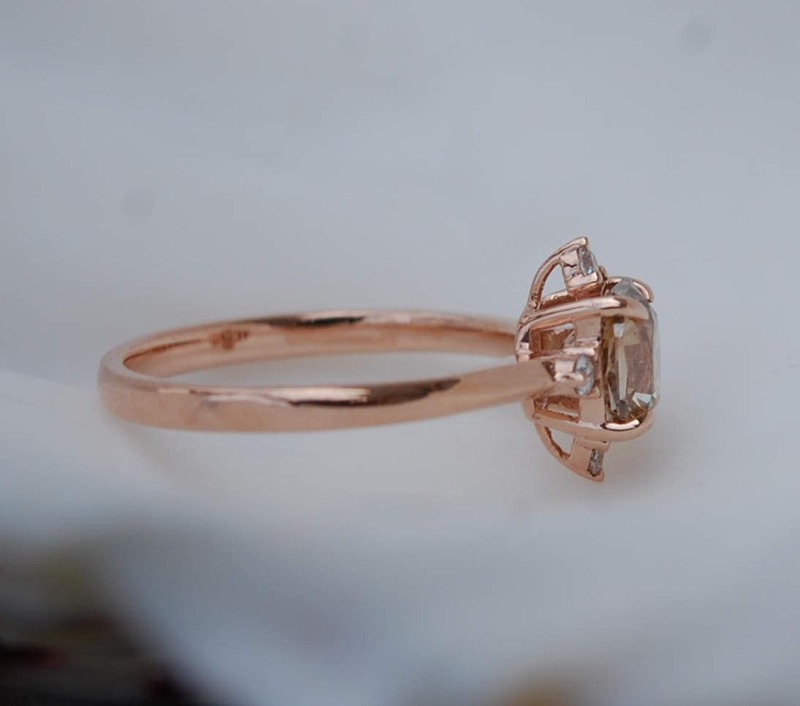 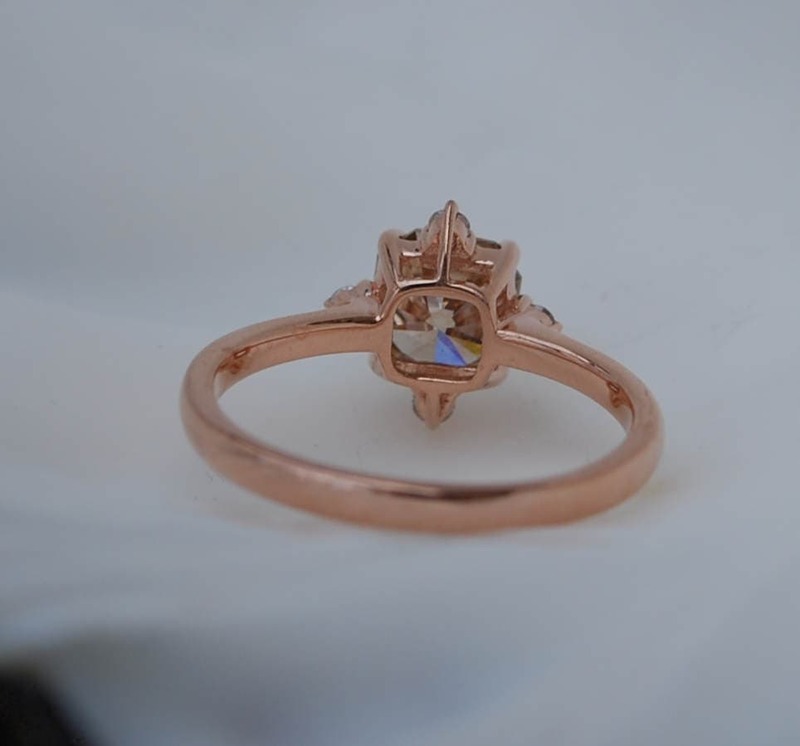 Upgraded sturdier 14k rose gold halo setting, TDW approx. 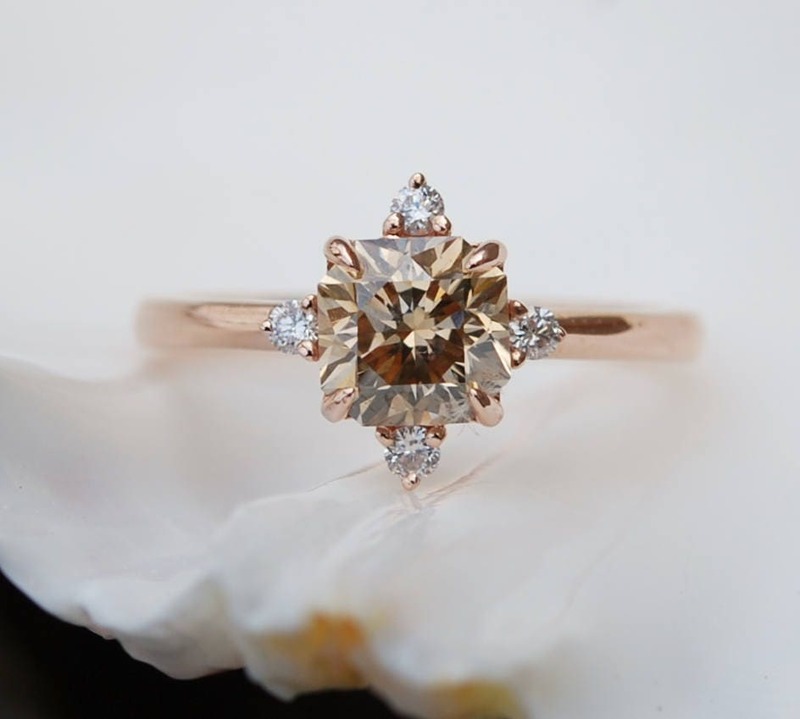 0.2ct, SI/H.